Recommended tools and services for bloggers or online business owners. Time saving, social media and SEO tools to help run a blog. Favorite tools for blogging! Tips for how to start a blog and tools and services for bloggers or online business owners. Time saving, social media schedulers to help run a blog. My favorite tools for running a blog. Blogging is not just about writing and creating content, there is a lot of behind the scenes business that makes it all happen. Throughout the six years that I’ve been blogging, many people have asked what services and tools I recommend. Finally, I wrote a post about the tools I use the most for both of my blogs. Not a blogger? You are more than welcome to share this post with friends who might be interested in blogging or owning an online business. These tools and tips are not the only good options, just what I use for my business and feel comfortable recommending to you. Check back because I will be adding more information when I discover new and must-have blogging and social media tools! Want to hear me talk about blogging and how I do it? Come listen to my interview on The Blogger Genius Podcast. I purchase my website domain names through GoDaddy. If you want to start a blog, this is where you need to go first. Register your .com and if you like, they have many services that can easily help you create your own website. 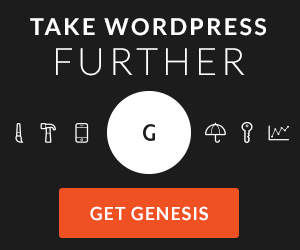 For my blog, I use the Genesis Framework for WordPress. Over the years, I have customized the design to fit my needs. There are a lot of great Genesis themes. If you’re looking for a pretty blog template, I recommend the Foodie Pro Theme. I have gone through many website hosting companies, but the one I feel best referring you to is Orange Geek. The guys over there are so helpful and it’s a very reasonable monthly fee! I use them to host one of my blogs and have been very happy with them. Please tell them you heard about them from me! Get More Traffic – Schedule Your Content on Pinterest! 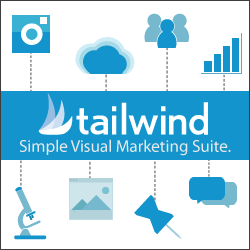 Tailwind is an API approved partner with Pinterest and has great advantages for scheduling your pins! With this great tool, you don’t have to be on Pinterest daily to get your content out there. It’s also got fantastic stats to help you figure out what content works best for your audience. I have also used BoardBooster to create campaigns to schedule pins to Pinterest. It’s another great Pinterest time saving tool! Grow Your Social Media Following! MiloTree is a free WordPress plug-in that pops-up on your blog anytime someone visits. Your visitors will see a big button where people can follow you on social media right then. Set it to be a Facebook Page, Pinterest or Instagram pop-up to promote those channels to your audience. I recommend getting the paid version so you can see statistics and have more options. Buffer helps you share content to social media by scheduling content from anywhere on the web and analyze how your posts perform. Use it to schedule your own blog content or other’s content to most social media sites. Start out using the free version to try it out. Evernote is a wonderful tool to organize your life! As files get lost on my computer, using it helps me remember everything as well as share with team members. Get a FREE month of premium with–> this invite link. Friends+Me is a great way to grow your Google+ following. Anything you share on G+ can be set to automatically re-publish on other social media channels. For the product photography on my blog, I use a Canon 70D Camera Body along with a 24-70mm Tamron Lens. If you are new to photography and blogging, a good starting lens would be a 50mm lens. Want to learn more about SEO and how to blog to make money? Check out the Mom Blog to Money Blog Online Workshop. I highly recommend this if you are starting out in blogging or want to learn new ways for making money. I have learned so much about blogging from Laurie Turk. Love food and want to start a blog about food or add more recipes to your current blog? 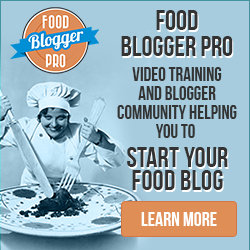 Check out Food Blogger Pro, a great online community run by successful food bloggers who will walk you through the correct steps! This is great insider information for any type of blog. Aweber is what I started with my email marketing. I’ve used it since 2011 and the service, templates and user tools keep getting better throughout the years. E-Junkie is how I sell my digital products online. I started using this service way back in 2009! I hope this list of tools will help you along your blogging journey! I have written many articles about blogging. Click here to browse my blogging and social media tips.